This paper presents an analytical approach to predict the critical load of global buckling with locally buckled channel-section columns under axial compressive loads. The effect of local deformation before global buckling is considered. The analysis is performed by using the Rayleigh–Ritz method. The analytical solution is validated by using the nonlinear finite element analysis method. Parametric study is also performed for different sections including different values of slenderness ratio, height-thickness ratio and width-height ratio. 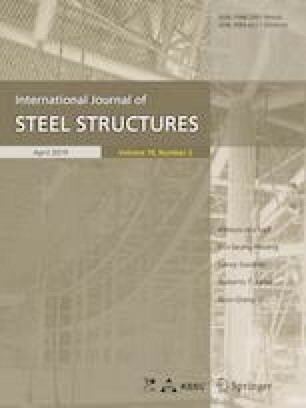 The comparison between the present approach and those taken from Chinese and American standards demonstrates that the present model provides a good approach for predicting the critical loads of steel columns involving local and global buckling interaction. The corresponding author wants to acknowledge the financial support received from the Chinese Scholarship Council for his PhD study in Plymouth University. The first author wants to acknowledge the financial supports by the National Science Foundation of Zhejiang Province (LY19E080020).